The first 7 days after your offer is accepted is your typical time frame to perform your due diligence on a home purchase. Part of that due diligence will be to hire and preform a home inspection. This is the best time to really dive into the home, subdivision (the neighbors! lol), local attractions, ect. and make sure it is really what you want to purchase. Only during your due diligence period is your earnest money deposit 100% refundable. (unless otherwise stated in writing). In addition to inspecting the property's foundation, mechanical systems, ect. buyers may also want to hire an specialist for things like septic tanks, water wells, sewer lines, and more. 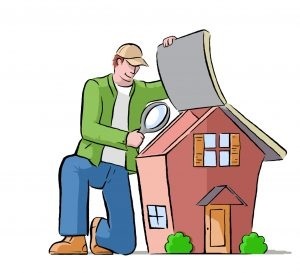 Below I describe the standard home inspection process. If you have a specific concern or a special situation with a home that may require a more specialized opinion contact me so we can look at that situation individually to assure your purchase agreement protects you as the buyer, and assure you have enough time to complete your due diligence before your deposit is non-refundable.